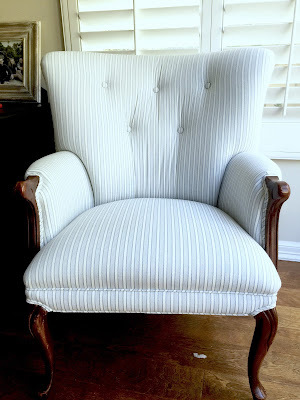 Here are some of my past chair fixer-uppers. 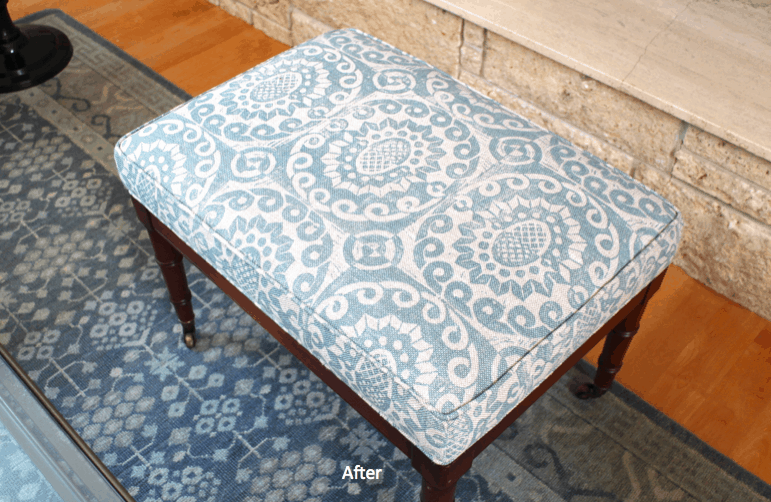 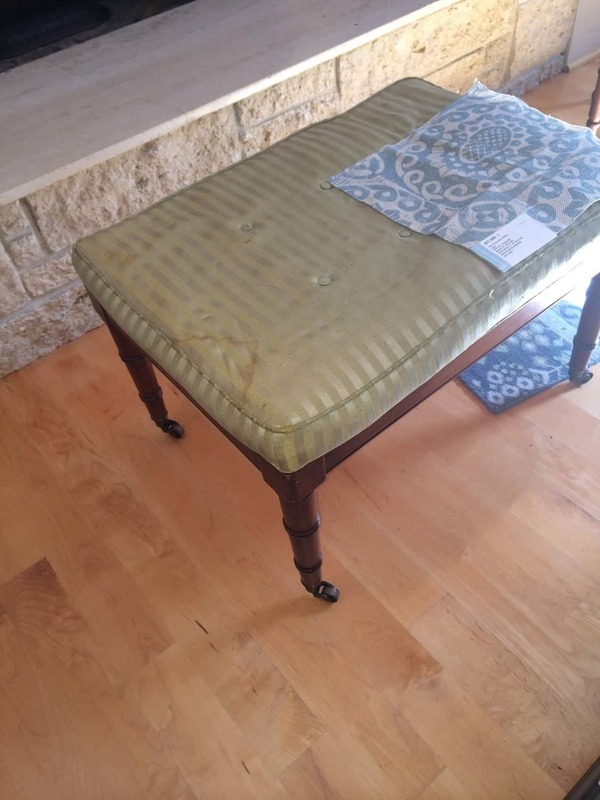 When reupholstering you can change details. For example, we changed the back and added tufting to Jackie’s bedroom chair above. 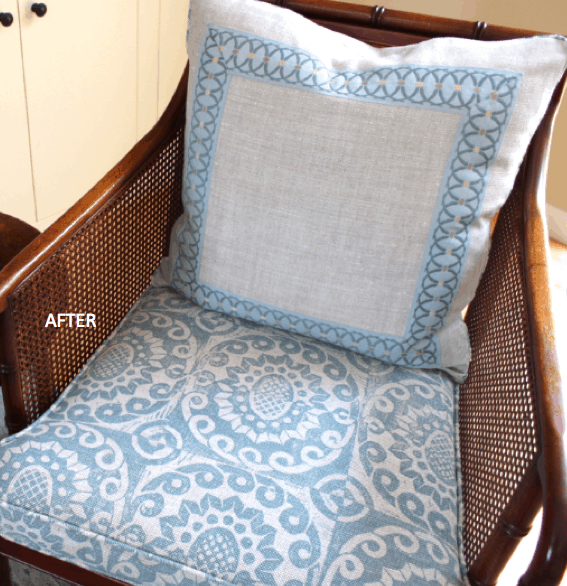 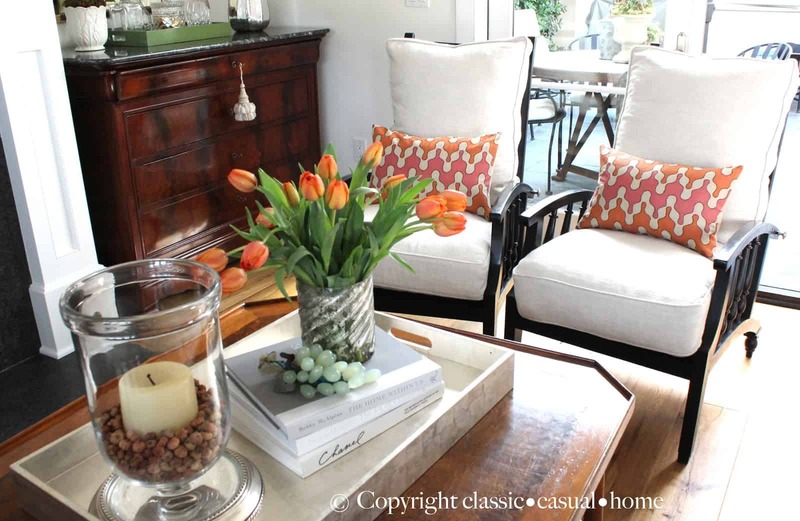 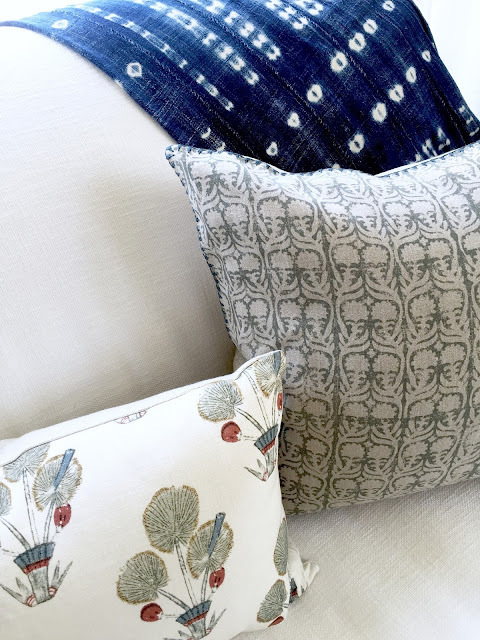 New seat cushion, here without tufting…and a pretty pillow added. 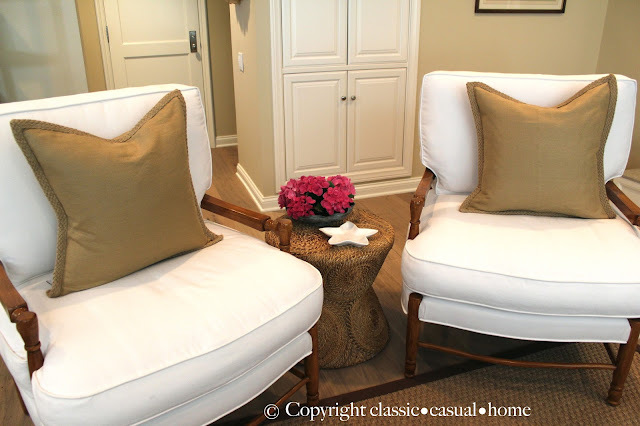 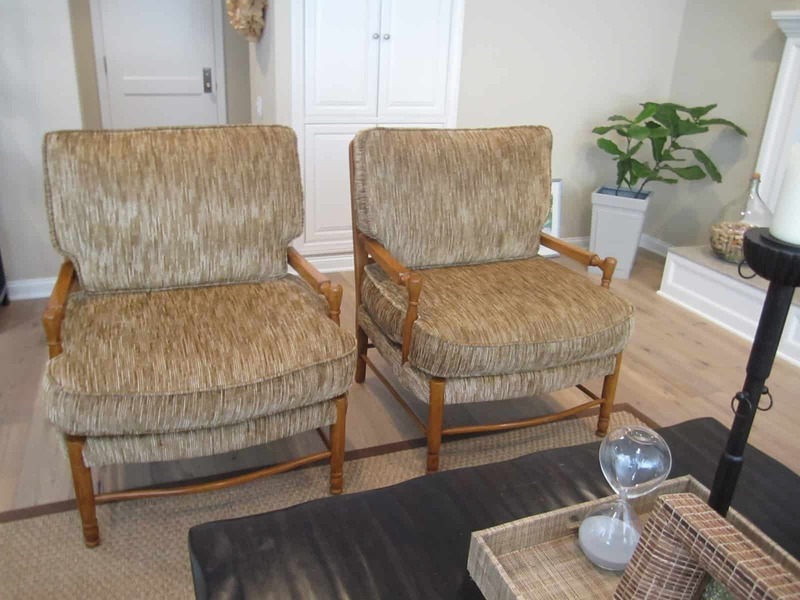 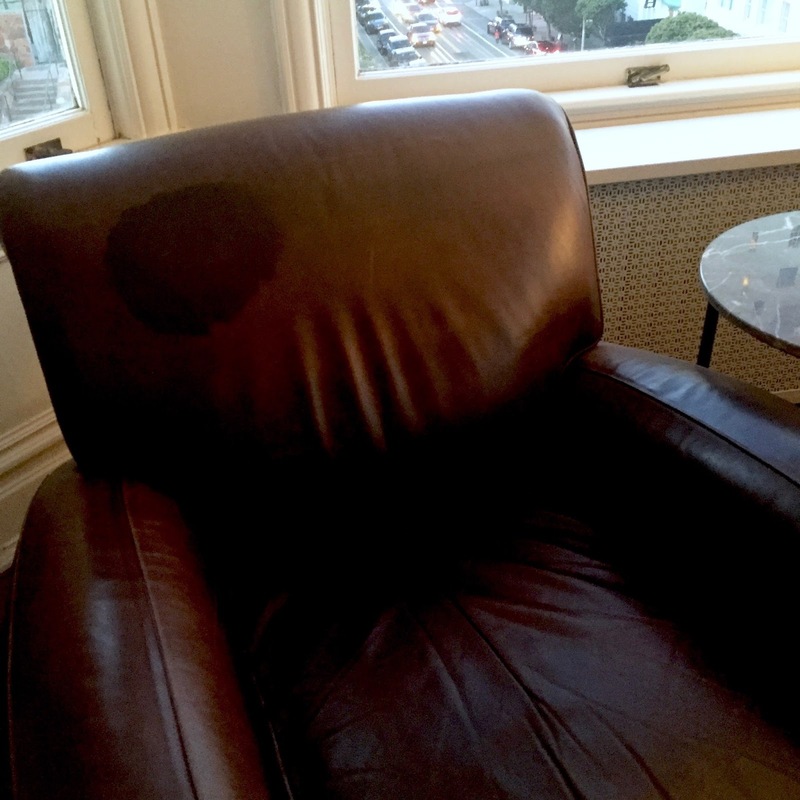 Stay tuned to see what I did with a couple of our living room chairs that REALLY needed help–stained leather! 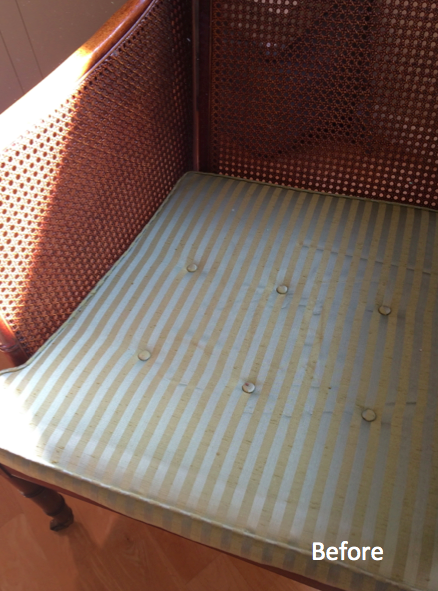 I tried everything to clean them… such an eyesore! 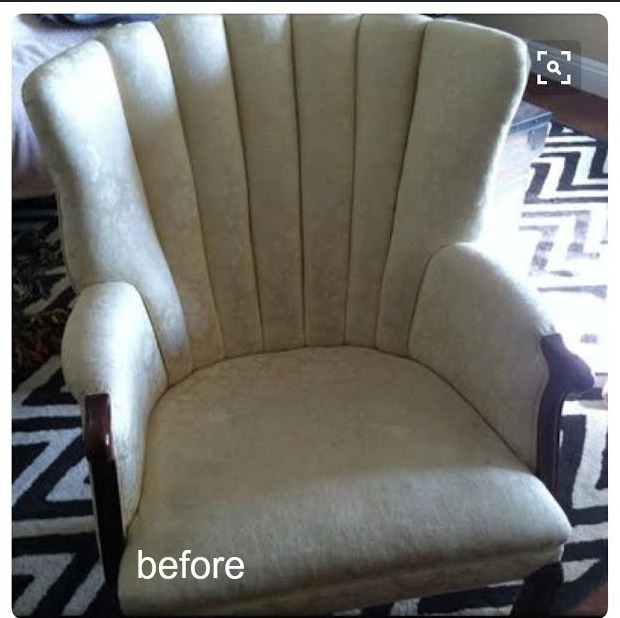 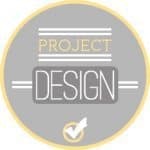 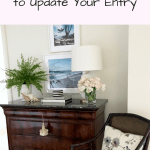 Do you have a chair that needs updating?